ASSITEJ recently challenged Southern African theatre makers to mobilise around the issues of children’s rights, to develop and empower female directors to make work for young audiences in a contest called “From Idea to Action”. Stuart Palmer, Chairman of Lunchbox Theatre, wrote a play called “ILIFA” (The Inheritance) and won the contest! As part of the prize he and Actress and Director, Amanda Valela, travelled to the Bibu Festival in Sweden on 13th May 2014, engaged in valuable workshops with a well-known Swedish playwright and viewed a range of inspiring work for young audiences. Upon their return, they developed the script into a richly themed story of self-discovery and the unveiling of a great inheritance. In the play a young boy, called Themba, embarks on a journey of excitement, danger, intrigue and a new reawakening to all things of true value. ASSITEJ, the International Association of Theatre for Children and Young People, (French: Association Internationale du Théâtre de l’Enfance et la Jeunesse) was established in 1965 as an international alliance of professionals involved in theatre for children and young people. Exploring the laws of Isaac Newton & Albert Einstein. this is an outstanding film documenting the 1914 situation. • Eat more organic plant foods. • Get more fiber by eating more plant foods. • Omit or eat fewer animal foods (and choose only free-range, organic, etc., if you do). • Don’t drink alcoholic beverages. Attempting to keep your dog happy whenever you live in an apartment might be difficult. A bored dog is not very good for either you or the dog. When having nothing to do they tend to act out and chew and shred things like your favorite couch or shoes. Lack of exercise causes obesity, bone issues, heart disease, and emotional complications. When your dog is well exercised and happy then he is a much better companion for you. A general rule of thumb would be to exercise your dog between 15 – 30 minutes a day. Even now and then they will require more than that. For much younger dogs, they usually will need more activity. For much more active dogs that have trouble sleeping, an enjoyable game of fetch or tug-o-war might be a good method to tire your dog just prior to going to bed. For mental stimulation, a hollow chew toy filled with a glop of peanut butter can keep a dog occupied (freezing it amps the lifespan, as they really have to work at it). Many commercial toys also permit tough treats to be hidden inside. It is possible to also try playing hide & seek by putting snacks around the apartment and letting him find them. If chewing is a problem for your dog then be sure to stock up on nylon bones or natural beef knuckle bones that will give your pup hours of enjoyment without ruining your shoes. Be sure to avoid bones that splinter as it can harm your dog. 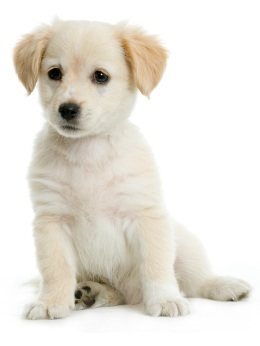 Avoid plushies or articles of clothing–dogs cannot distinguish between old and new. When you have one near your apartment, the best method to burn off energy would be to take your dog to a dog park. Here you can let your pup off leash and if yours is “dog friendly”, he can play freely with other dogs. Only 30 minutes at a park can tire your dog out far more than hours of walking. In that exact same vein, an apartment dog that continues to be miserable during the day would benefit from an occasional outing to doggie daycare. 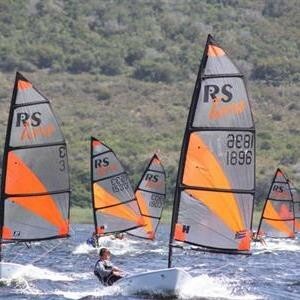 Sedgefield is ready to host the RS Tera World Championships at Pine Lake Marina on Swartvlei which will start on Sunday, July 27 soon after 09:00. The event is preceeded by a pre-world training camp which starts on July 24. The venue, which boasts a history of many regional and national regattas, has clean, safe water, is not tidal and the basin in which it lies allows steady winds. Although the event takes place in the South African winter, the temperatures are not much lower than those in Eastbourne, England, where the last championship were held. Pine Lake Marina has suitable accommodation, marina facility, restaurant and activities for children. The host yacht club is Knysna Yacht Club, whose coaches Dave Sheldon and Mike Pogodin have been coaching preparing local competitors for months. According to one of the organisers, Roeléén Schofield of N2RS, there are 61 young sailors already registered for the championships, 37 of them South Africans, and the rest from participating countries including Belgium, The Netherlands, Great Britain, Norway, Denmark and Zimbabwe. Twenty four of the young sailors are from George, Knysna and Mossel Bay Yacht Clubs, including world bronze medallist James Hellstrom. Knysna Yacht Club has five entrants, Sara Young, Mzikuzi Mayati, Sakhumuzi Funda, Sanele Magqaza and Apendule Maneli. The racing will take place in 15 races during the week with an opening ceremony on Sunday, July 27 in the evening, and a closing ceremony with prize-giving on Friday, August 1. Spectators are welcome and will have to pay a fee of R40 per person, for which they will be able to enjoy all of Pine Lake Marina’s facilities. There will be braai and entertainment on Wednesday, July 30. The RS Tera is an international class sailing dinghy very popular with young sailors as it resembles a junior grade Laser Dinghy and can be in standard form or an enhanced performer, the RS Tera Pro with a larger sail. It is one of the fastest-growing sailing dinghy classes in the world. Cathy Avierinos, secretary to the national RS Tera Class Association and vice-president of the International RS Tera Class Association, scored a major coup for Knysna and surrounds when she secured the championship for Swarvlei. The international event is bound to earn much exposure for the Garden Route and for Sedgefield specifically. For more information on the championship, visit www.visitknysna.co.za. In the sea : Bull Sharks and Giant Stingrays. On shore : The history of Pinnacle Point and Blombos Cave. and beyond Bali, the islands of the Komodo dragons. 10 tips for achieving the splits without injury or pain. I need to be honest; I can’t do the splits. I’ve never had a desire to do them, nor have I ever needed to. And unless you’re involved in martial arts or gymnastics or ballet or cheerleading, there’s really no good reason why you would need to do them either. Very few sports require that level of flexibility. In fact, that level of flexibility without the accompanying muscular strength and stability can lead to injury. But regardless of all that; I get questions from all sorts of people who want to do the splits. So if you’ve ever dreamed of being able to do the splits like Bruce Lee or an Olympic gymnast, here’s my top 10 list of tips and tricks for achieving the splits without injury or pain. Warm up Don’t stretch cold. Complete a thorough warm up before attempting to do any training for the splits: Including a cardiovascular warm up; some light static stretching; and dynamic stretching. When to stretch From tip number 1 you already know to stretch after you’ve warmed up, but when else should you stretch? One of the best times to stretch is after your work out, as part of your cool-down. This is when your muscles are most warm and pliable, which makes it much easier to stretch and reach new levels of flexibility. Another great time to stretch is just before going to bed. This works at a neuromuscular level, as the increased muscle length is the last thing your nervous system remembers before going to sleep. Strength v’s flexibility Strength and flexibility are interrelated. Muscle strength is crucial for joint stability, so if you’re trying to improve your flexibility to do the splits, but the muscles that stabilize your lower back, hips and legs are weak, all you’re doing is making yourself more vulnerable to injury. Work on the strength of your muscles and as that improves, especially at the end ranges of motion, so will your flexibility. Include variety If you want to achieve a full split, stretching just your groin and hamstrings aren’t enough. You need to stretch everything if you want to get into the splits. Don’t do the same old boring stretches all the time; include a variety of stretches for all your muscle groups; especially your lower back, hips, buttocks and calves. Adjusting the angles I’ve already mentioned that you need to include a variety of stretches (tip 4), but let’s take that to the next level. During each stretch start to think about how you can make small changes to the stretch by adjusting your body position. For example; when doing a hamstring stretch turn your toes inward and then turn them outward, or twist your hips from one side to the other. These small adjustments target different areas of the same muscle, resulting in a more well rounded, overall flexibility. Long hold static stretching Static stretching is a great place to start, but most people make 2 mistakes when doing static stretching. Firstly, they push the stretch too hard. And secondly, they don’t stay in the stretch position for long enough (probably because they’re pushing the stretch too hard). When doing static stretching get into a position where you feel only light tension in the muscles, and then hold that position for at least 1 to 2 minutes. PNF stretching PNF (Proprioceptive Neuromuscular Facilitation) is a more advanced form of flexibility training that involves both the stretching and contraction of the muscle group being targeted. It is excellent for isolating specific muscle groups, and as well as increasing flexibility it also improves muscular strength (see tip 3). Dynamic stretching Dynamic stretching uses a controlled, soft bounce or swinging motion to move a particular body part to the limit of its range of movement. The force of the bounce or swing is gradually increased but should never become radical or uncontrolled. If you plan on using the splits for gymnastics, martial arts or any other sporting activity, then you also need to include dynamic stretching. Breathing Many people unconsciously hold their breath while stretching. This causes tension in the muscles, which in turn makes it very difficult to stretch. To avoid this, remember to breathe slowly and deeply during all stretching exercises. This helps to relax the muscles, promotes blood flow and increases the delivery of oxygen and nutrients to the muscles. Practice, practice and more practice Don’t kid yourself; you’re not going to achieve the full splits without some work. Aim to spend a minimum of two 20 minutes stretching sessions a day working on the splits, and depending on where you’re starting from it could take you 3 to 6 months to achieve your goal. Modern-day Kohaku koi, known for their white-bodies and red patterns, have had a long history of cross-breeding that dates back to the the mid-1800’s. A manual on koi cultivation in the Niigita Prefecture of Japan relates the development of Sarasa (white carp with red markings on its head) by cross-breeding the Magoi (wild black carp) with Higoi (red carp) and Shirigoi (white carp). Others believe that these red and whites were products of cross-breeding red-headed Narumi Asagis (a breed of blue-netted koi) and Magoi’s. Whatever the case may be the Sarasa developed into the “Gosuke Sarasa ” in 1889 through the work of a breeder named Kunizou Hiroi also known as Utogi ni Gosuke (Utogi from the farm of Gosuke). It is from this Gosuke bloodline that all Kohaku koi have descended since. Most of the criteria for discerning quality Kohaku koi comes from the characteristics of its “hi” (red markings). It is important that the “hi” should be uniform in color and have well-defined edges that do not bleed or fade into the white. It is crucial in all koi that the “hi” be well-formed and not contain bits of white within them. The “hi” should also be artistically distributed and should make-up half to two-thirds of the Kohaku koi’s color. Although body “hi” need not be symmetrical on a Kohaku, it should nonetheless be balanced, not being either top nor bottom-heavy. “Hi” is also exhibited in “steps” or consecutive right-left-right red spots on a fish’s back. The more steps on a Kohaku’s body, the more prized it is. A two-stepped pattern is called “Nidan,” which is the Japanese word for second. Similarly, “Sandan,” “Shindan” and “Godan” are the words for “third,” “fourth” and “fifth” and are used to describe Kohaku koi exhibting three, four and (even better) five-stepped patterns. Sometimes, these hi markings do not occur as several separate spots but come in an “Ippon-hi” or large continuous red pattern. Interesting images are formed from these such as those of an “Inazuma” or lightning bolt of red running from head to tail or a “Straight Hi” which describes a continuous stroke that likewise runs lengthwise on the fish’s back. “Hi” on the head is an essential element for all Kohaku. While the most valued of Kohaku koi’s should not have any red on their fins, below the eyes or in and around the mouth, Kuchibeni (red around the mouth like lipstick) or Menkaburi (red hood covering all of eyes and mouth) markings are still considered acceptable. Kutsubera (U-shaped just above the eyes) markings are considered exceptional. Other hi patterns also include the Maruten (red blotch on top of head) and the Tancho. This latter pattern occurs when there is a single red blotch on the center of a Kohaku’s white head. The rounder the mark the better, as it would look more like sun on the Japanese flag! These Tancho koi are technically judged in a separate class. Keep in mind that “hi” must wrap around the fish’s body, preferably around the lateral lines from gills to tail. The “odome” (tail stop) which is a white barrier between hi on the tail and the “hi” on the main body of the Kohaku is a marker for balance with the fish’s white nose. There are many more complexities in judging quality Kohaku koi and even more details in caring for tategoi (young koi) in order to breed prize-winners. This is perhaps attributed to the fact that Kohakus are the most popular koi varieties to-date. As such, they are not only standard-bearers of the colors of the Japanese flag but of the beauty of Japanese culture itself. Lots to see in Plett! 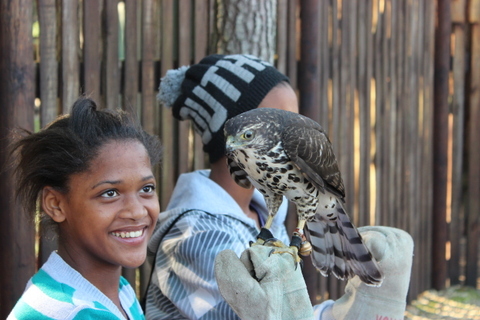 During the first week of the school holiday this winter, 130 Born in Africa learners visited Radical Raptors and the Wolf Sanctuary. 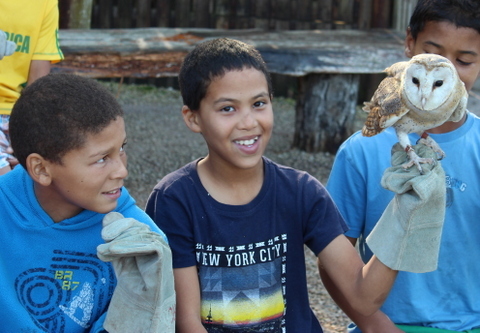 Radical Raptors is a rehabilitation centre for birds of prey that aims to create awareness in the community. The children saw the birds being free flown and fed and had the opportunity to get to know each unique and beautiful bird a little better. Most of them were even brave enough to have them sit on their hand for a closer look (with a protective glove on of course!). The Wolf Sanctuary is the only registered non-profit wolf sanctuary in South Africa. 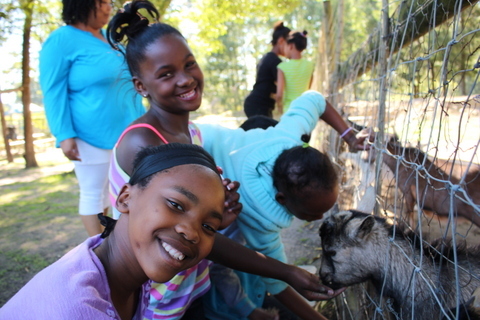 The children enjoyed meeting the wolves and being able to feed the animals at the touch farm. Thanks to everyone involved, what a fantastic experience! trial of Galileo, creator of modern scientific methods. An outstanding movie about heroism and redemption. forced to work on the notorious Burmese Railway. is as underestimated today as he ever was.